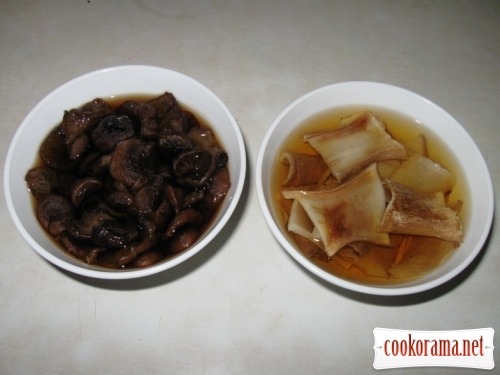 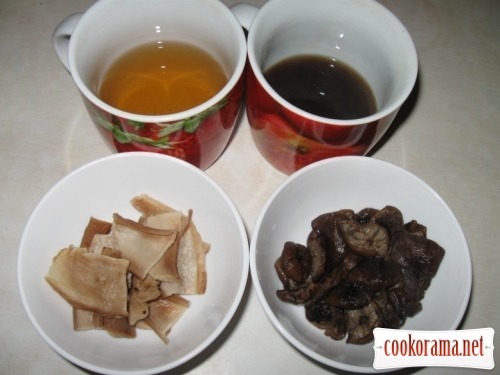 After swelling, pour water, pour in bowl (again separately) pour with water and boil till readiness (white — for 5 min, honey mushrooms – for 15). 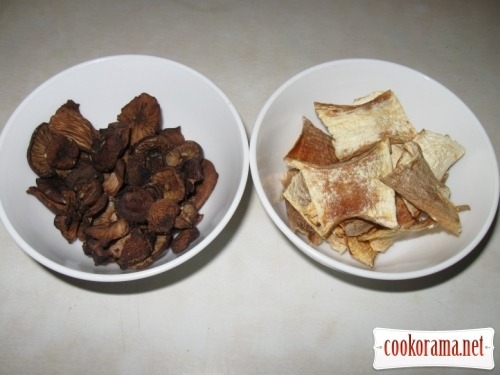 Strain mushrooms, pour water from mushrooms in separate bowls. 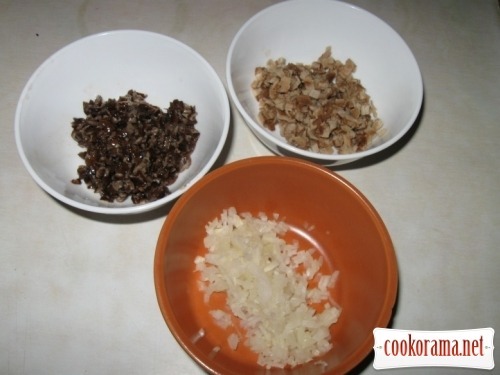 Mix it, salt, pepper and fry a bit, for a few minutes. 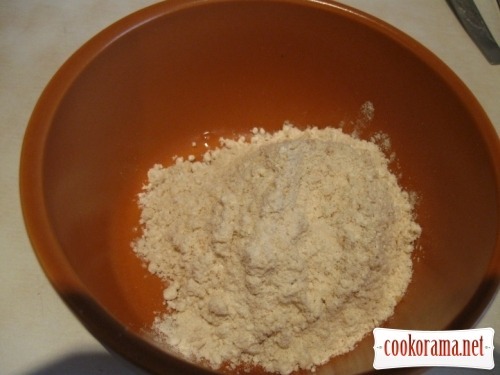 Mix flour with broth from white mushrooms, to avoid clumps. 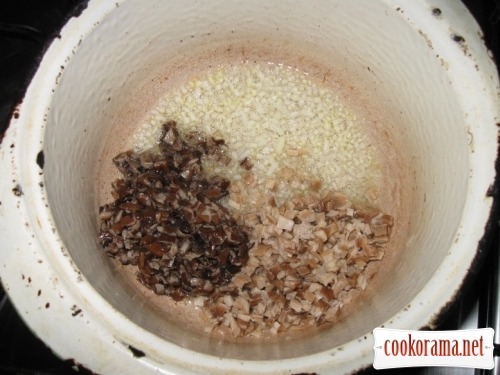 Pour into mushrooms, add salt to taste, add crumbs of nutmeg. 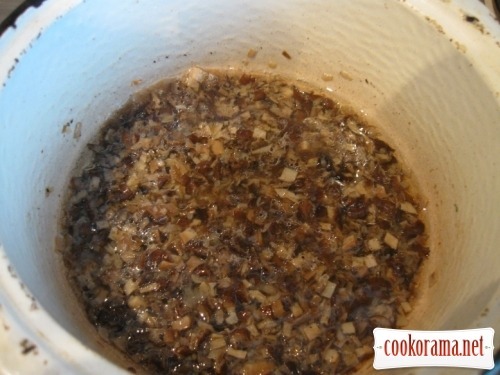 Let it boil for a minute and gravy is ready. 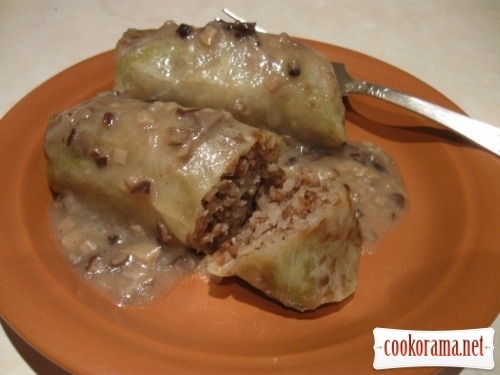 Serve with vareniki stuffed potatoes, cabbage, to cabbage rolls. 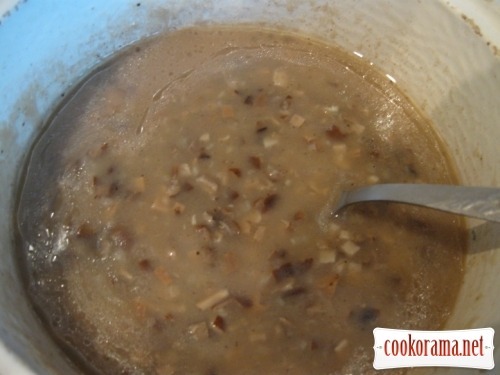 Top of recipe "Mushroom gravy"
Теж роблю таку підливу, дуже смачно.